Saffron flower with three filaments that produce saffron. One of the most expensive spices in the world far different from any other spices come from flower known as saffron Crocus sativus, commonly known as the "saffron crocus". It’s not the whole flower can be used as the spices but only small part of it, the three stigmas that make it harder to produce. 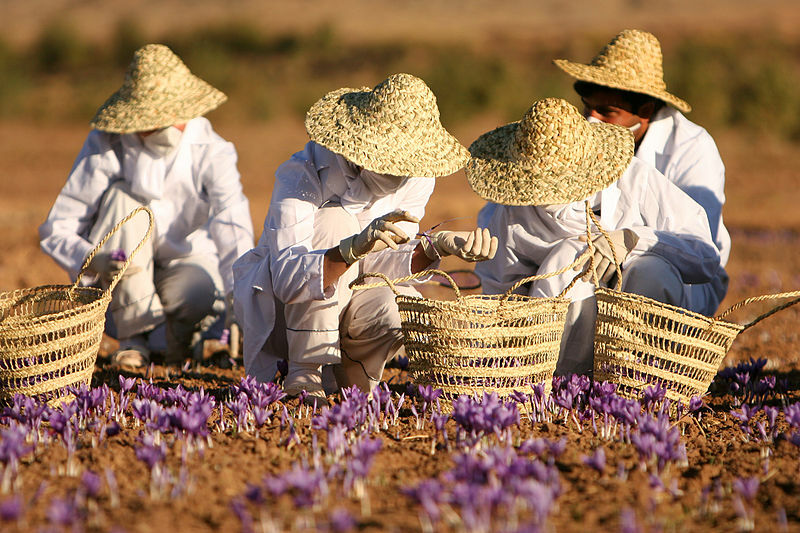 Since the demand for it too high, the saffron price can jump as high as $2,000 to $10,000 a pound. By knowing more about this spices it might help us just not knowing the right saffron but also to identify the adulteration that commonly practiced in saffron spice trade. The saffron crocus, unknown in the wild perhaps by the result of long cultivation by human and probably descend of from Crocus cartwrightianus, native to Greece and Crete (that’s where saffron was thought came from). Since saffron is incapable to reproduce sexually as any other flowering plants – all propagation is done by vegetative multiplication via manual "divide-and-set" of a starter clone or by interspecific hybridisation. Close up of Saffron flower. Besides its popularity, saffron had been used since millennial ago with the exact date unknown, among the evidence is the mural, the "Saffron Gatherer", illustrating the gathering of crocuses from the ancient Crete in Greece. The mural must have been painted long after the first usage of the saffron and perhaps we need to see where the saffron is mostly produce; Iran. 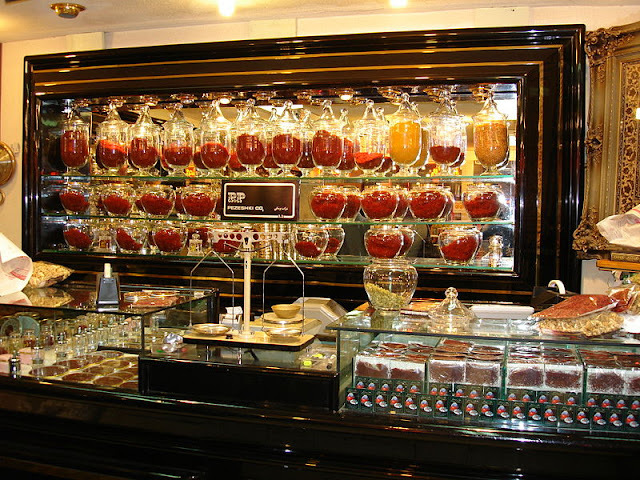 Iran is the most important producer of saffron by producing about 90 - 93% of the world supply. 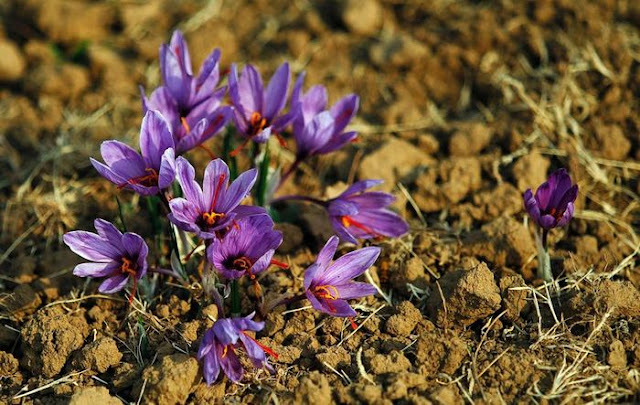 In 2014 250 t (250,000 kg) of saffron were produced worldwide. The other countries that produce saffron includes Spain, Greece, Morocco, India, Afghan, Austria, Germany, Switzerland, Australia, China, Egypt, parts of England, France, Israel, Mexico, New Zealand, Sweden (Gotland), Turkey (mainly around the town of Safranbolu), the United States (California and Pennsylvania), and Central Africa. The reasons for its overpriced mainly caused by many of the delicate cares and works all along the producing works involved. The flower itself not easy to taken care of, while blooms for one week of the year, produces only three stamens which must be picked by the hand and dried. 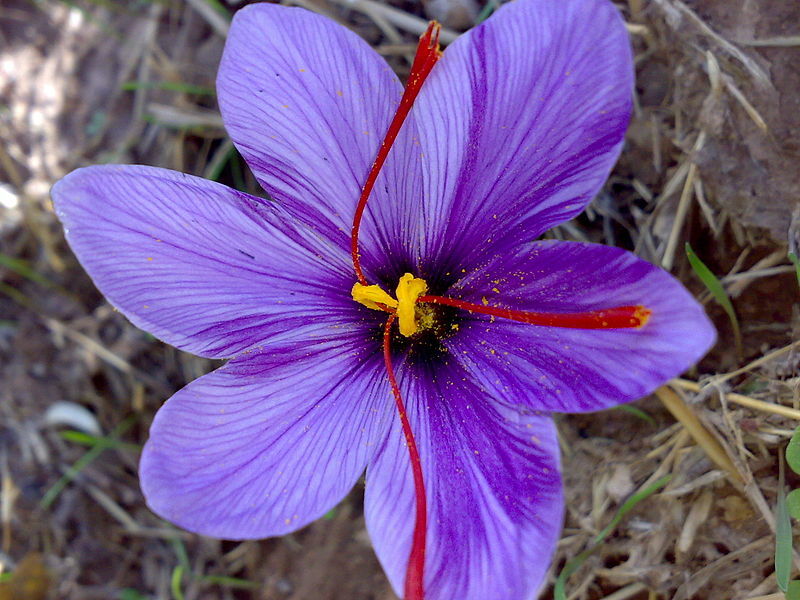 It takes 150 flowers to produce a single gram of saffron. Saffron widely used for its aroma that will enhance many dishes throughout the world. It also give beautiful luminous yellow-orange to foods. 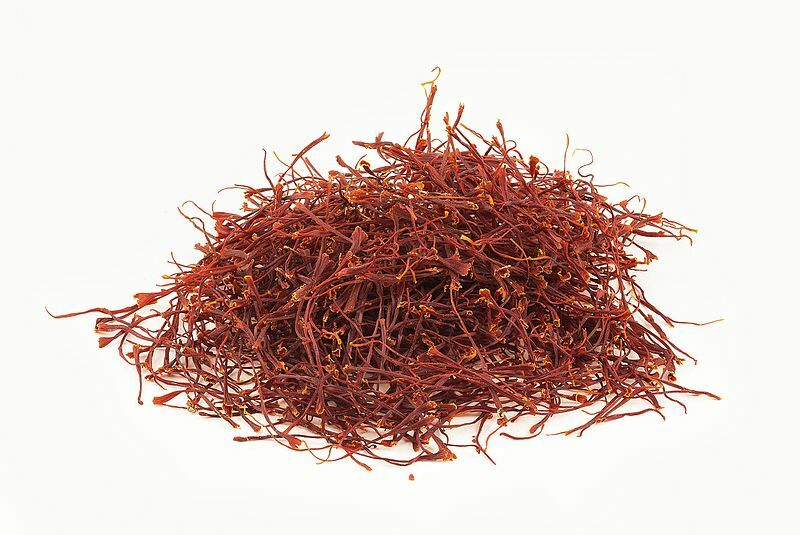 Saffron is widely used in Persian, Indian, European, and Arab cuisines. Some of the dishes are jewelled rice and khoresh of Iran, Milanese risotto of Italy, the paella of Spain, the bouillabaisse of France, to the biryani and many other dishes. It also use as tea, incense and in perfume. While the saffron price is too high, there are an extensive adulteration in saffron market. The adulteration had been practiced since long ago, and continues until modern days. Adulteration was first documented in Europe's Middle Ages, when those found selling adulterated saffron were executed under the Safranschou code. Among substances used for adulteration of saffron includes beetroot, pomegranate fibres, red-dyed silk fibres, or the saffron crocus's tasteless and odourless yellow stamens. There are many other substances used for adulteration of saffron to manipulate the price and get easy profit. i) Avoid buying ground saffron as it is hard to detect the ingenuity of the saffron. The other reason is, it will loses its flavour. ii) Saffron will turn hot water bright yellow few minutes of soaking, not orange. iii) Saffron will always be expensive, so be careful with cheaper deals. iv) The threads of saffron are fine and even in size, with a thin yellow tendril on one end and a trumpet-like flute on the other. The yellow part never mix with the red part. Try avoid buying from online if possible and always be cautious when buying for saffron as it is expensive and people will cheat you in many ways. There are many usage of saffron even though it is known more as culinary spices. 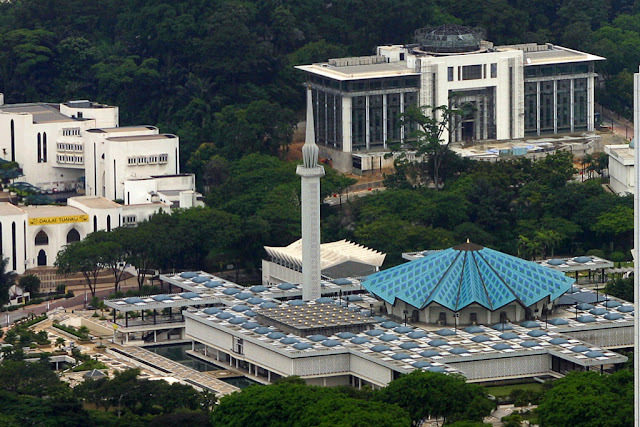 The high demand of it making its cultivation become very important. Somehow somewhere there always be someone trying to produce it in larger quantity in order to get more profit (not necessarily in bad ways) since it has higher value in price. Sure it is important in order to curb manipulation, fraud, adulteration and many other negative effects from high demand.